TUBEFREEKS have started recording of their 4th full-length album. The power-groove rockers return to Waterford Digital studio in Maryland with Frank “The Punisher” Marchand, who had engineered Tubefreeks' previous album “The Dry Tide” released in 2017. 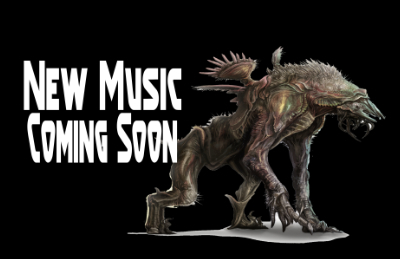 Look for the first single in the early part of 2019, with the full album release mid-2019. The group also is completing the 2018 Twisted Minds Tour with a bang. Highlights of the tour included main stage appearance at the Blue Ridge Rock Festival (Lynchburg, VA) Labor Day weekend where they shared the stage with Lamb of God, Puddle of Mudd, Saliva, Tantric + more, and the Mesa Music Festival (Mesa, AZ) November 9-10. The group also toured the East Coast from Florida to New Jersey twice, including marquis performances in their hometown of Baltimore, and a couple of showcases at SXSW in Austin, TX. To finish off the 2018 Twisted Minds Tour, Tubefreeks secured a slot at the Rock Solid Pressure Show 16th Annual Industry Showcase. The showcase, presented by the legendary promoters J-Rock and Patty, has had multiple signings to labels, management, and marketing teams, over the years. This year's representatives include (labels) EMC / Combat, Prosthetic Records (rep formerly w/ Century Media), Eclipse Records, Retrospect Records, SlamJamz Records, mega-producer Matt Laplant (Non-Point, Skindred), (management) Street Smart Management, SP Unlimited, and (festivals / tour agency) Carbon Ear + more. Lead singer Paul van Valkenburgh talks about Tubefreeks: "It's been a fantastic year for us meeting great new friends, fans and bands all the way from Jersey to Florida to Texas. The Blue Ridge Rock Festival and SXSW were unreal as were our hometown shows. And can't wait for the Mesa Music Festival and of course the Rock Solid Pressure Industry Showcase in Tampa! After the showcase, we plan to spend a month or so focusing on our new album, then it's back out for 2019!. Can't wait to see everybody then!"